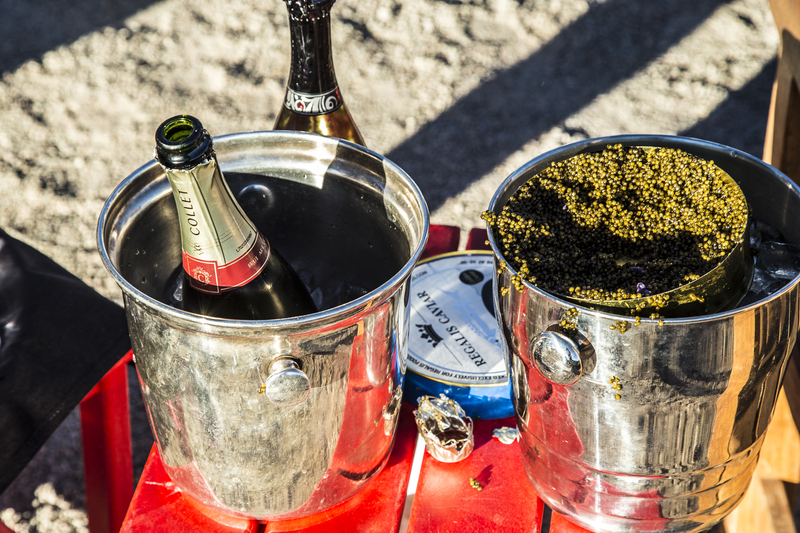 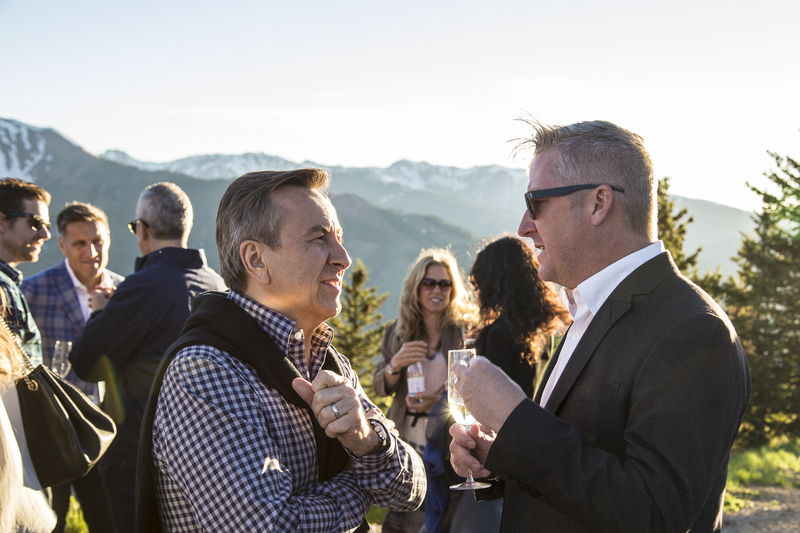 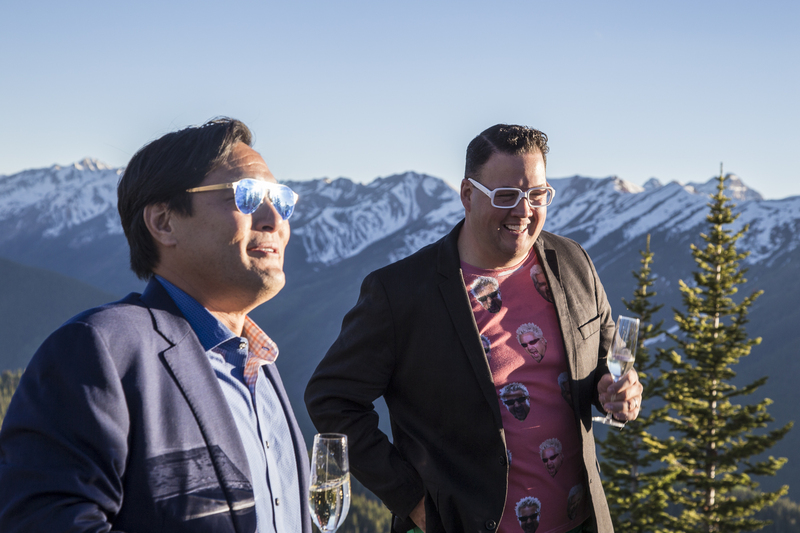 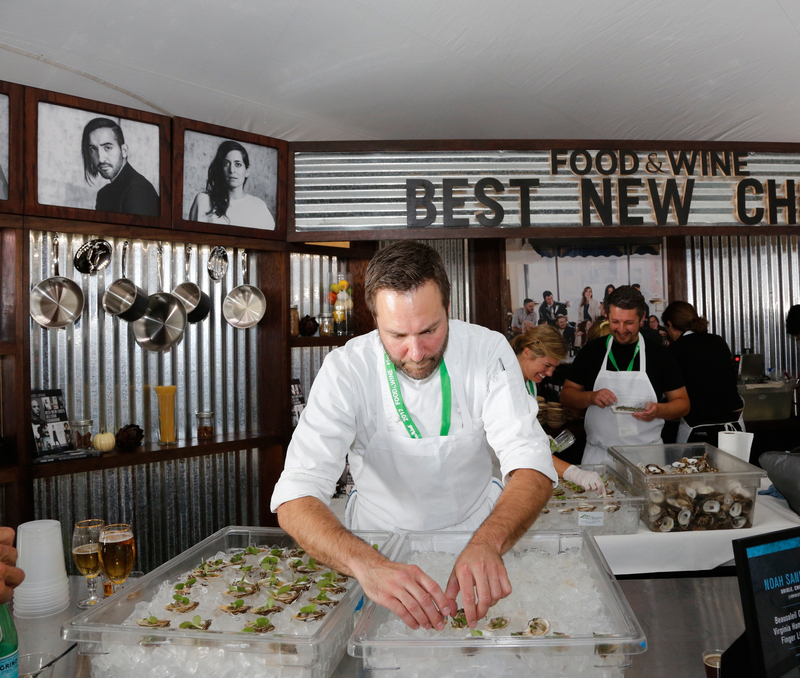 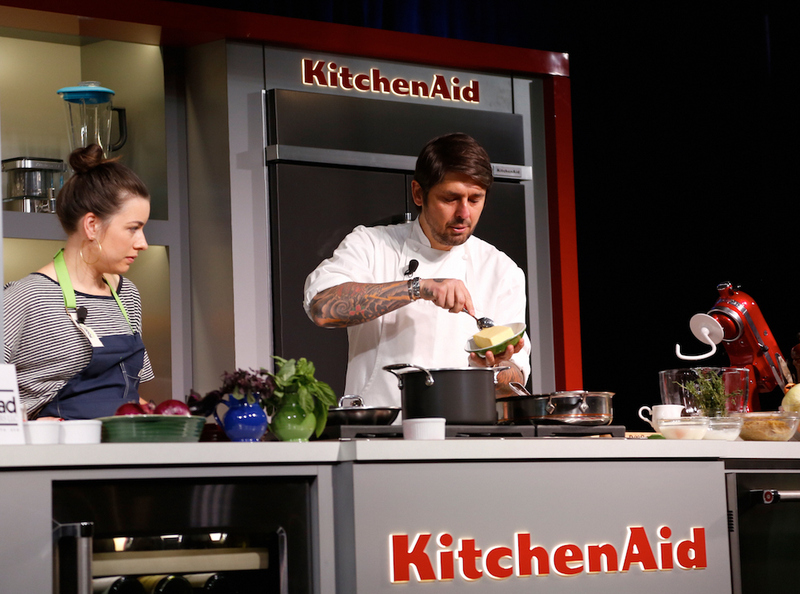 The mkgallery Classic in Aspen kicked off in full force Friday with dozens of immersive workshops, seminars, and tastings—all set against the stunning backdrop of Aspen Mountain. 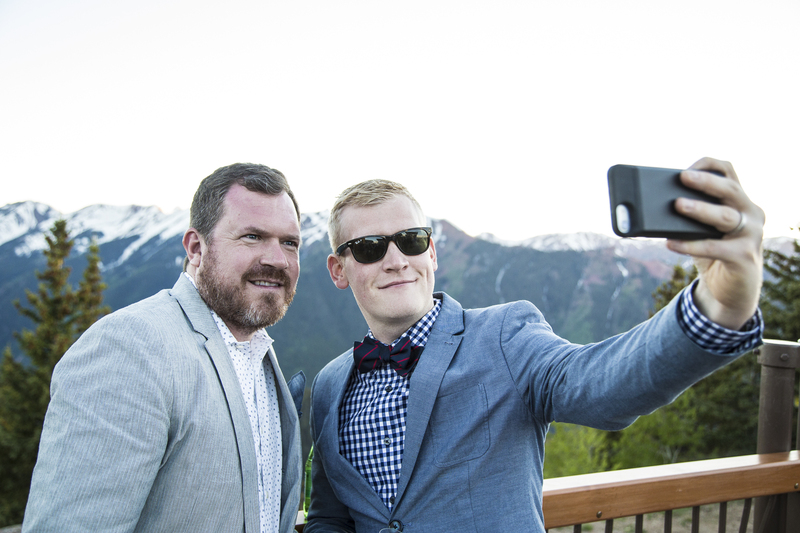 Here are some of our favorite moments so far. 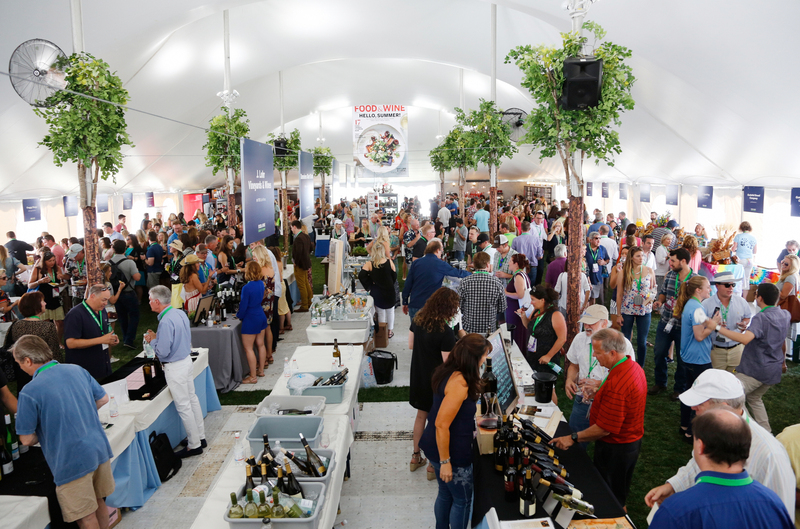 Inside one of the Grand Tasting tents at the mkgallery Classic in Aspen. 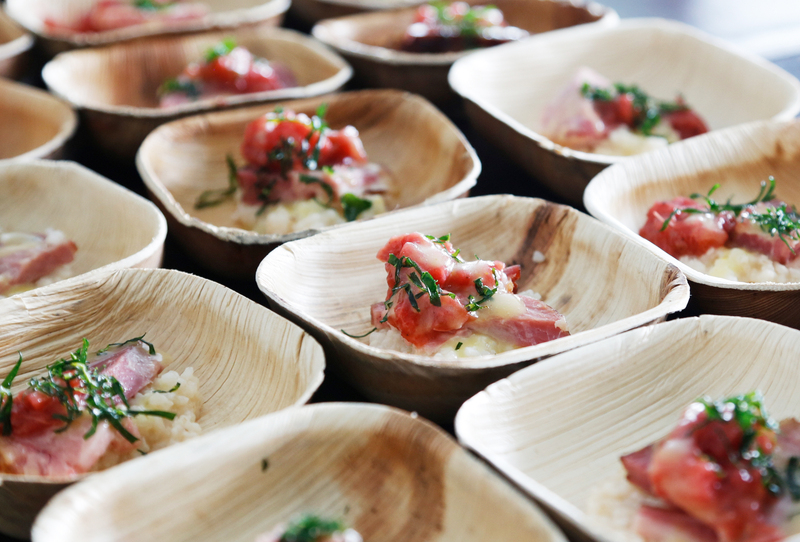 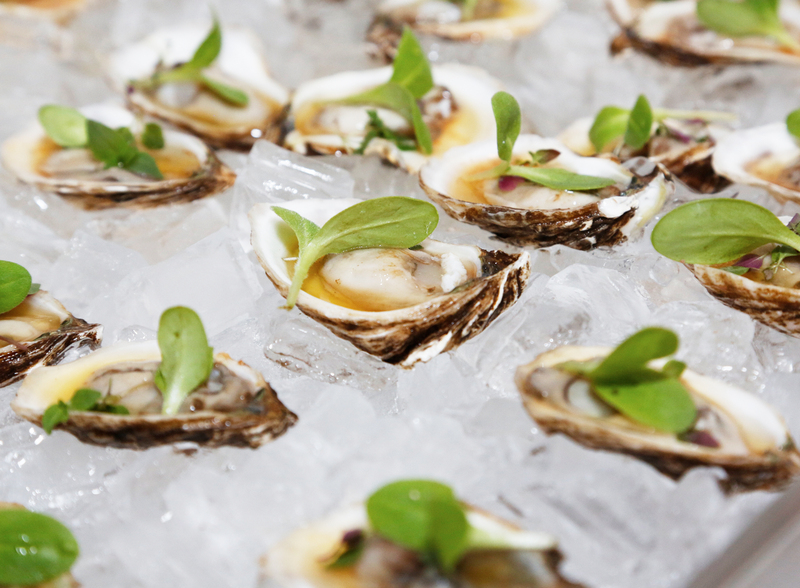 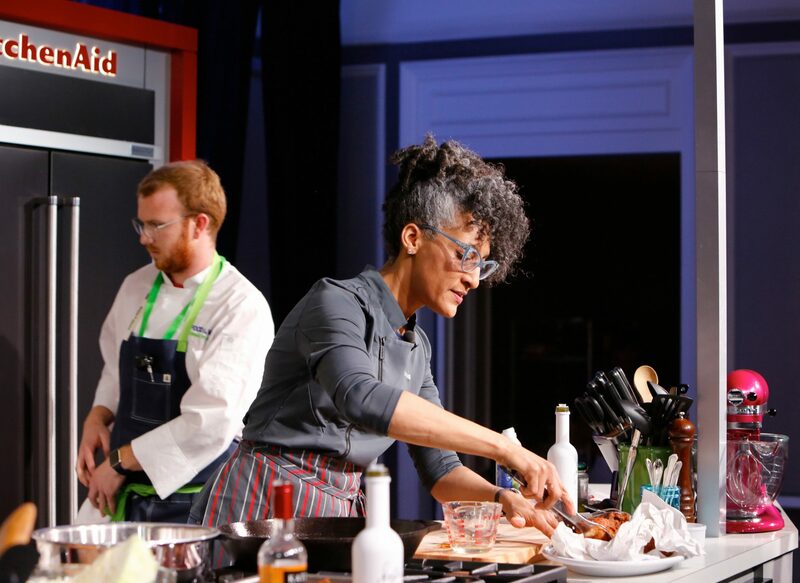 Carla Hall demonstrates southern favorites at the mkgallery Classic in Aspen. 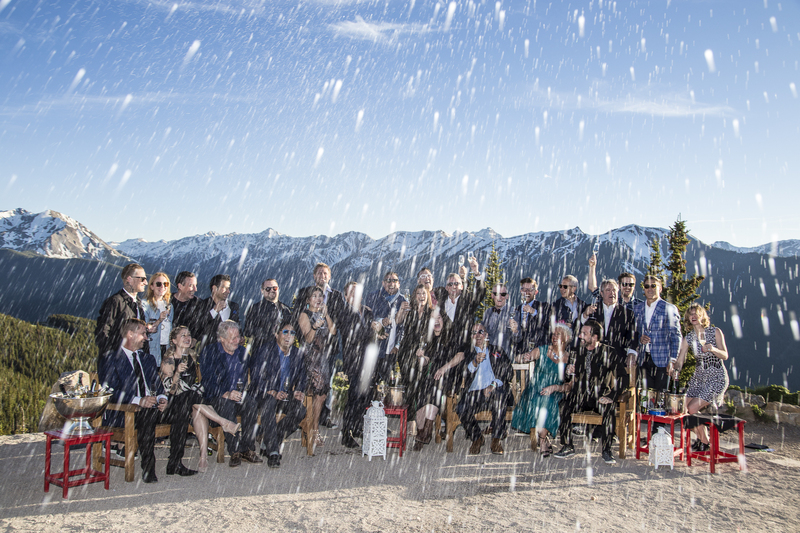 mkgallery Classic in Aspen presenters and guests take an epic group photo (with Champagne!). 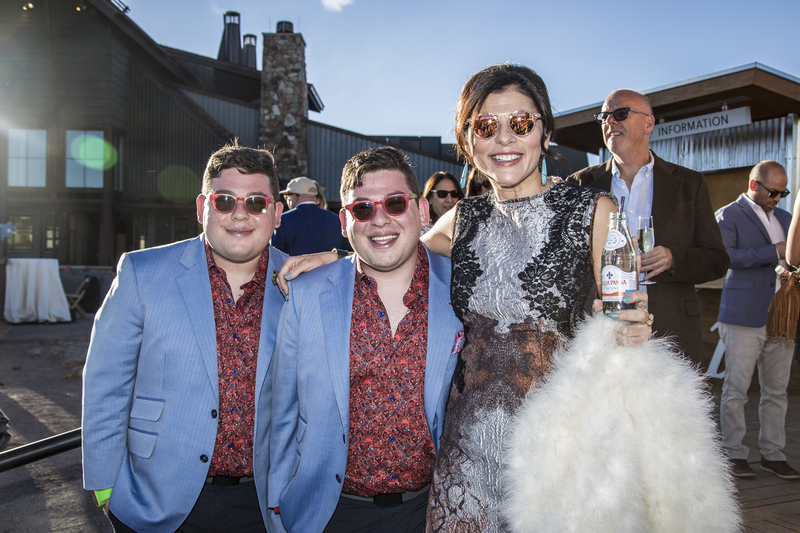 The Potash Twins pose with mkgallery Editor in Chief Nilou Motamed at the top of Aspen Mountain.